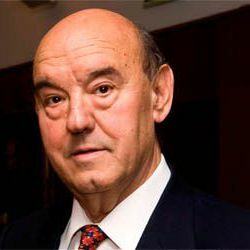 Chief of Nefrology Service of the University Clinical Hospital of Salamanca and Professor at the University of Salamanca. Dozor Professor of Geriatrics Medicine at the Ben-Gurion University of the Negev. Beer-Sheva (Israel) and associate member of the Interdepartamental Division of Geriatrics”, leaded by Rory H. Fischer, Faculty of Medicine, University of Toronto (Canada). He heads the Biomedical Research Center of the School of Medicine at the University of Salamanca and leads the Clinical Research Unit of the Reina Sofia Institute of Nephrological Research (IRSIN) in Salamanca. He has supervised 19 doctoral thesis. He has been PI in 24 research projects and has published over 160 articles in national and international journals on Nephrology, Physiology and Physiopathology of Renal Aging and Geriatrics. He is author and co-author of 8 books, 48 ​​scientific chapters, including Nephrology and Geriatrics and has participated in more than 160 national and international conferences, as well as invited conferences.